This past weekend the Fall students headed out for a great day in the Tuscan countryside. 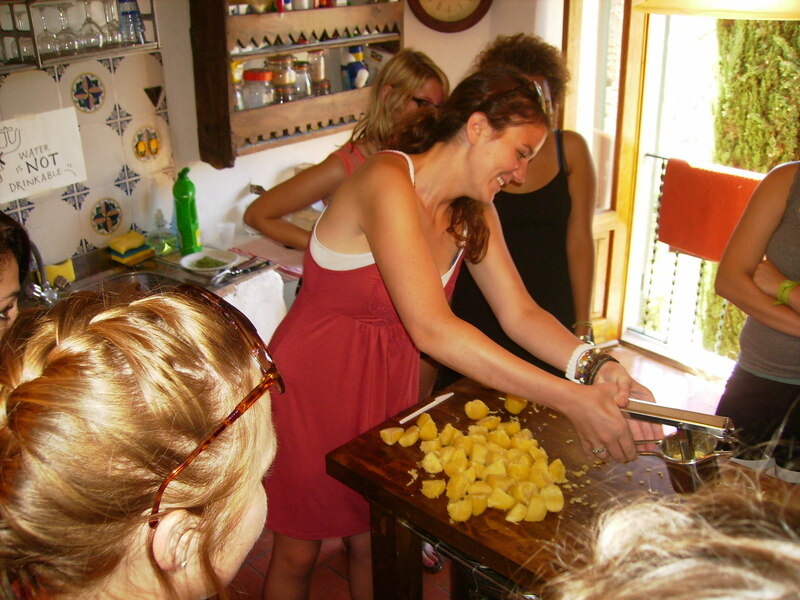 Students and faculty arrived at the SRISA Director’s farm house for cooking classes and a big group dinner. Students learned to make pizza in the wood burning oven, handmade gnocchi, pesto, tiramisu, and the typical panzanella bread salad. 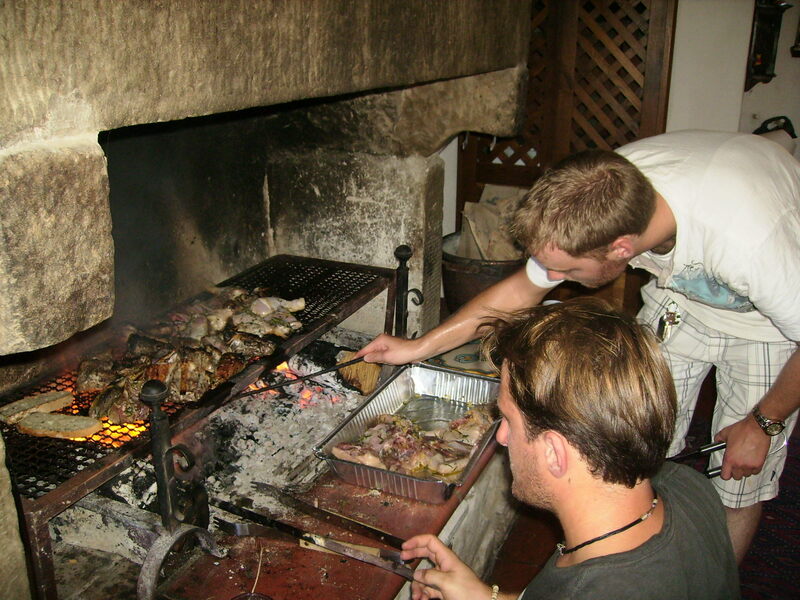 The bold and the brave lit the wood-burning grill to cook meat and fettunta (toasted garlic bread). Along with learning lots of fun new recipes, students photographed and drew in their sketch books. There were lots of things to capture: the abundant greenery, flowers in bloom, the rolling hillside, and the medieval architecture. Participants also had the opportunity to explore the 900-year old village that is nestled in the Casentino hills. The trip ended with a visit to the beautiful Poppi Castle, Castello dei Conti Guidi that dates to 1190. ← Fashionable Shoes or Sensible Shoes?